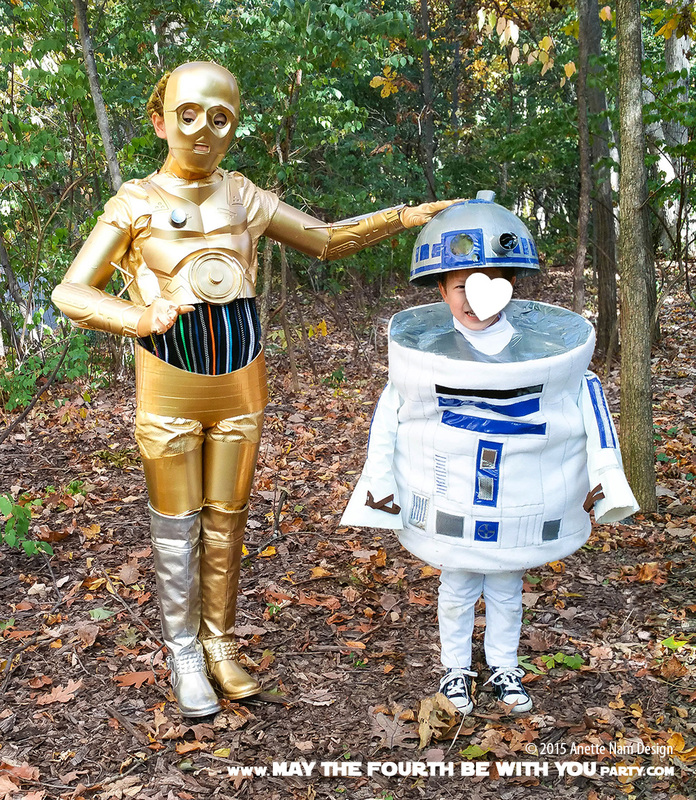 M4P 2015 DIY Star Wars Costumes: C-3PO and R2-D2. C-3PO and R2-D2 are just like our kids. They fight, argue, bicker, they insult and occasionally even kick each other… Don’t believe me? Here are some side-by-side comparisons from A New Hope, and our house. 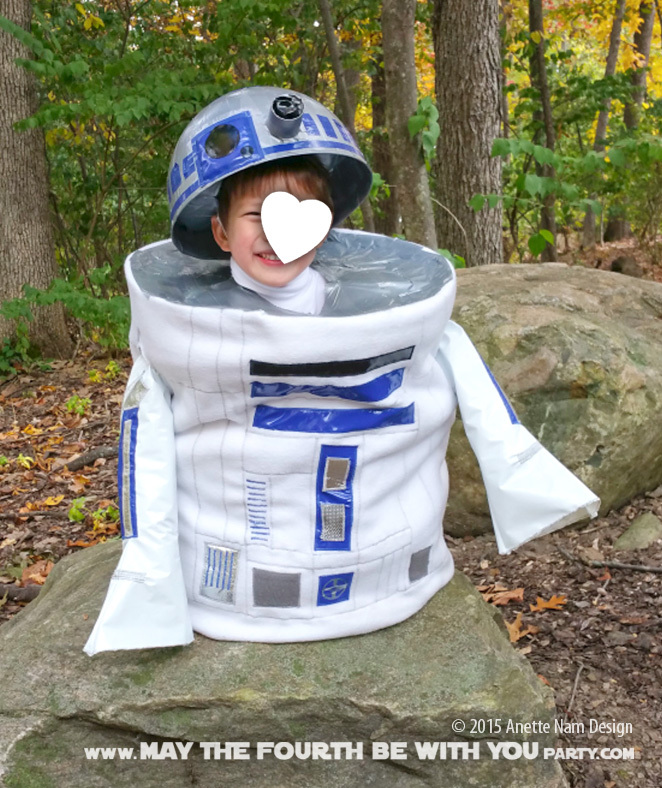 (You can find the DIY instructions for the C-3PO costume here. C-3PO: Hey, you’re not permitted in there. It’s restricted. You’ll be deactivated for sure. R2-D2: beep, bip, beep bip. C-3PO: Don’t call me a mindless philosopher, you overweight glob of grease! #1: GET OUR OF MY ROOOOOM! YOU ARE NOT ALLOWED IN HERE! #1: I am not stupid, MOOOOM, he said I was stupid! Luckily our kids also share the same love for each other as the two droids do. They protect each other, stand up for each other, and one is simply not happy without its counterpart. C-3PO: At last! Where have you been? #1: YEAY!! Let’s build LEGO TIE-Fighters! I see my kids in action and I am just in awe of how close they are, and how incredibly blessed we are to have them around. The hubby and I got married in our mid-ish 30’s. Children sounded like a good idea, and we were blessed with our #1 pretty much right away. When it came to our son however, we had to wait a long time. Like many couples in their late 30’s and 40’s, we struggled trying to conceive, and suffered though many miscarriages. And, just as it is for countless other couples, it was a heart-breaking and very difficult process. Many, many times I prayed and asked, whether it was worth all the pain. After all, we had a beautiful and amazing daughter! But during all those painful years, we kept thinking she needed a buddy. A partner in crime. Someone to share secrets with. Someone who would love her unconditionally, just like her dad and I do. Eventually, after lots of meds and help, the little brother came. He was equally beautiful and equally amazing – but in entirely different ways. And now, looking at these two combative yet loyal; fighting yet loving; bickering yet giggling-until-they-cry, little people God has blessed us with, I know it was worth every tear and every painful second. It was worth the wait. These are the droids I was waiting for. They are MY little droids, and I cannot imagine my life without them. Where can I find the directions for the C3PO costume? Oh my goodness, I am so happy you like it enough to make your own 🙂 Unfortunately I have not posted the instructions yet. I plan to have it up by early September – in plenty time to make it for Halloween. Here is the short version: mask from Amazon, “knight” chest armor and arm plates from Dollar Tree, a bunch of 1 liter soda bottles, knee hight boots from Walmart, gold fabric, straws, elastic and gold gloves. + assorted lids, boxes and foam for the gears. Black T-shirt and a bunch of elastic hairbands. Then of course lots and lots of gold and silver spray paint. And Duct tape. Always duct tape. If you can wait, be sure to check back closer to Halloween. We will have a bunch of new DIY Star Wars costumes up, including the C-3PO. What did you for the “underwear”? I see whatever it is, its wrapped in gold duct tape. Thanks!! Thanks for asking! I am working on the post with how I made all the parts, and it should be up in the next week or so. Until then, the “underwear” is a large piece of 1/4″ beige craft foam covered and closed up with gold duct tape. It Worked WONDERFULLY! It was flexible enough that my daughter could sit in it with it breaking.